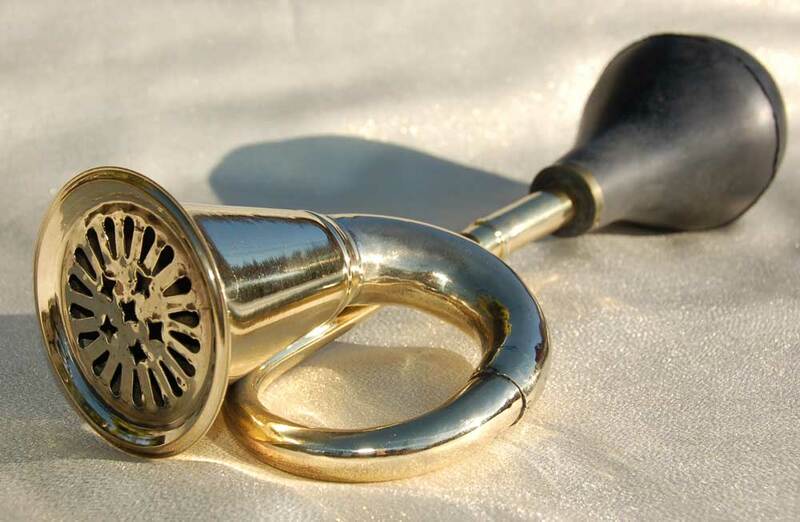 16 Inch Brass Covered Bell Squeeze Horn Click photo for larger image. Slightly narrower bell with a quilted cover. 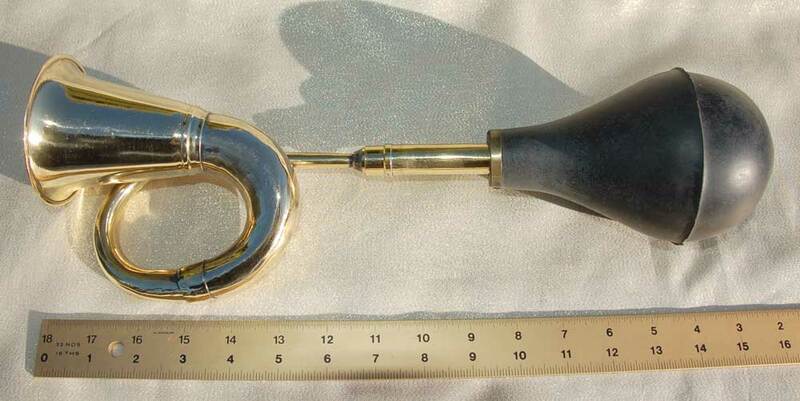 16″ Brass Horn with quilted bell cover. $37. Black Bulb. Free US Shipping. Includes 1 attaching bracket.